A mix of clouds and sun during the morning will give way to cloudy skies this afternoon. High 67F. Winds S at 10 to 15 mph..
VISIT Lake Geneva has named former state Tourism Secretary Stephanie Klett as its next president and CEO, according to a news release. Klett, a Beloit native, served as tourism secretary for eight years under former Gov. Scott Walker. For 18 years, she hosted the “Discover Wisconsin” television and radio series, for which she won an Emmy. Klett will begin the Lake Geneva job April 8. She will cover “strategic planning, business development, marketing, promotions, building strong partnerships and keeping the organization well managed and financially fit,” the release states. Under Klett’s watch, the state’s tourism economy grew nearly 40 percent and added 25,000 tourism jobs, according to the release. Tourism expenditures totaled $20.6 billion. 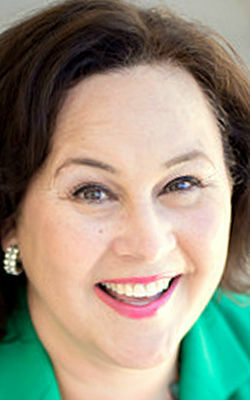 “She has been a visionary in the world of tourism and brings great energy and exceptional skills to our organization,” VISIT Lake Geneva Board Chairman Michael Jackson said in the release.